Does reading website code feel like deciphering an Egyptian scroll? Still, it’s easy for website newbies to become overwhelmed with their choices. Website builders offer a range of services including hosting, advertising, search engine optimization and e-commerce setup. So, where are you supposed to start? 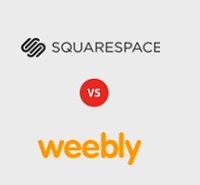 Which builder gets the edge in the battle of Weebly vs Squarespace? We’ll present some of the highlights of each in an effort to help you make a decision. The level of customization available to customers is an important criterion when selecting a website builder. Customization options worth your special attention include: template variety, mobile optimization, social media widgets, multimedia, and shopping cart options. The website builder you choose should offer superior customer support, knowledgeable tech agents, and guaranteed up-times. These are important factors that you need to weigh heavily on your decision regarding which website builder to choose, whether it be Weebly or Squarespace. Both are quality builders with impressive features. It is quite possible that both could support your Web page idea. In all likelihood, though, one of the two is going to be better suited to meet the needs of your online project. The best thing to do is to compare Squarespace vs Weebly to determine which each can do for you and your site. Squarespace and Weebly are both high-rated website builders showcasing a wide range of features. The good news is that these website builders offer terrific variety in terms of templates, website optimization, and e-commerce options, so whether you choose Squarespace or Weebly you are in good hands. Squarespace has won critical acclaim as a top-tier website builder. It features an impressive range of templates that are ideal for creating your own online store, blog, portfolio, etc. This website builder is helps to create visually-stunning sites, as you can see by the number of musicians, restaurateurs and artists who make use of Squarespace.com. For e-commerce sites with an artistic flair, this is definitely one of the top website builders to consider. A review of Squarespace.com reveals the many attributes of this high-quality website builder. Weebly is one of the most popular online website builders available. It is used by an estimated 12 million customers around the world and it features a powerful online platform that is easy to use and fully optimized for PC, tablet and smartphone functionality. Even the most non-technical person can enjoy the services offered by Weebly, since it is user-friendly and comes with instructive guides and resources. It’s also possible to analyze all of your website traffic by way of search engine optimization, analytics and myriad e-commerce features included in Weebly. The review of Weebly.com reveals just how useful this website builder really is. The HTML 5 drag-and-drop editor is ideal for novices and experienced professionals alike. In fact, with Weebly you can create a professional, beautiful and optimized website with little or no experience at all. 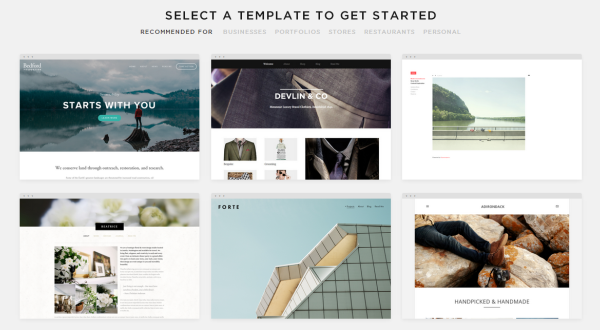 Squarespace.com offers plenty of variety to site owners in terms of available templates. You can enjoy mobile optimized sites for smartphones and tablets across iOS and Android devices. 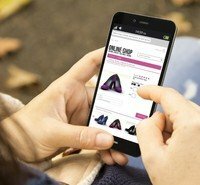 An impressive variety of e-commerce features is readily available to help boost your website on search engines like Bing, Yahoo and Google. Users looking to maximize their visibility and reach will enjoy the social media widgets – Twitter and Facebook – available as part of the website design features. Multimedia options like photo galleries, slideshows, videos and more are among the many benefits of selecting Squarespace as your preferred website builder. All the website design features available at Squarespace are intuitive – no specialized skills or knowledge is required to implement them into your website. Squarespace offers lots of creative accouterments to website builders. It is ideal for musicians, artists, photographers, videographers and graphic designers, among others. 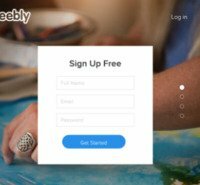 Weebly.com is one of the most popular website builders on the market. A comparison between Weebly vs Squarespace reveals some interesting differentials. Weebly caters to a broad base of customers – with HTML 5 functionality built into the sites. The drag-and-drop editor works great with all websites that you’re creating and since it’s mobile optimized, it’s terrific for a broad range of visitors. The many other features of Weebly include social media widgets, photo galleries, accessible templates and lots of user-friendly options. Full customization is possible for your personal or business website. What’s interesting about Squarespace is that this website builder offers seemingly complex functionality, but it’s really user friendly. As the editor of your own site, you can easily make adjustments to your e-commerce or personal website as you desire. There are many unique website templates to choose from. These span the full creative spectrum for musicians, artists, photographers, business professionals and even wedding planners. The list is exhaustive – much like the range of services on offer with Squarespace.com. Squarespace customers can easily customize their sites by way of templates, fonts, multimedia and so forth. You really get to enjoy an optimized website builder service with a host of added features. In fact once you start digging beneath the surface with Squarespace, you’ll notice that the range of features and extras is substantial. The drag-and-drop editor is something that all the best website builders offer and it’s available with Squarespace. You can easily move things around on your site until you’re satisfied with everything – there’s no need to understand CSS or HTML or Java and so on. It’s great because you can check out what your website looks like as you’re building it. Squarespace website builder makes it possible for you to set up your own online store in a jiffy. You can add a shopping cart and tailor all the payments and shipping options as you see fit. Adding products, descriptions, customer order histories, and pricing discounts is a snap, too. The attractiveness of Squarespace templates is another reason to consider this website builder. Plus, when you opt for Squarespace you get to enjoy a free custom domain name or you can pick your own domain name. Depending on what type of site you’re looking to set up, the amount of required bandwidth will vary. The premium packages offer unlimited bandwidth, blogs, storage, galleries and pages. If you’re a professional photographer for example, the premium package is ideal since you’ll be able to showcase your entire portfolio. Don’t forget that Squarespace is mobile optimized so your customers will be able to find you on any smartphone or tablet. 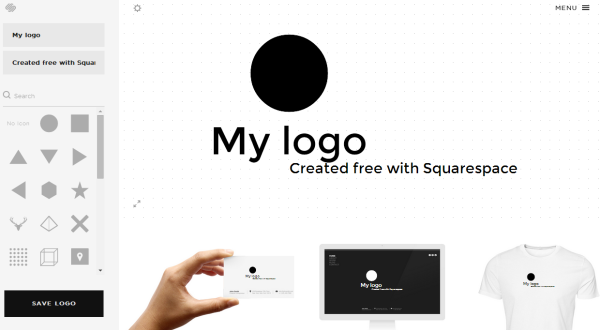 A unique feature offered by Squarespace is its free logo builder, which allows you to create your own professional-looking logo for free to use on your website, as well as across your social media and other products. Website statistics, customer tracking and other analytics can easily be quantified for quick and easy analysis. You’ll know all sorts of things right off the bat, including things like keywords that drive up your traffic, or how customers found your site, and so on. This is especially useful data when you’re looking to build up traffic and convert it with advertising and marketing possibilities. All the search engine optimization tools in Squarespace such as XHTML, XML, and tags can really boost your online presence and help you to convert traffic much easier. Shifting focus to Weebly.com brings more exciting possibilities to the website builder arena. A comparison of Weebly and Squarespace is important because it reveals many other options you have available. For example, Weebly also features HTML 5 technology with a nifty editor that is user friendly. You can easily tailor your site to perfection – whether it’s personal or business. You can shift all the features around, as you see fit. Full customization is possible, which is definitely a big plus. Since you don’t need any technical skills to use Weebly, anyone can use the website builder to create a professional website in double-quick time. After a few clicks of the mouse, you’ll have the makings of a highly functional, great-looking site that you will be proud that you created on your own. 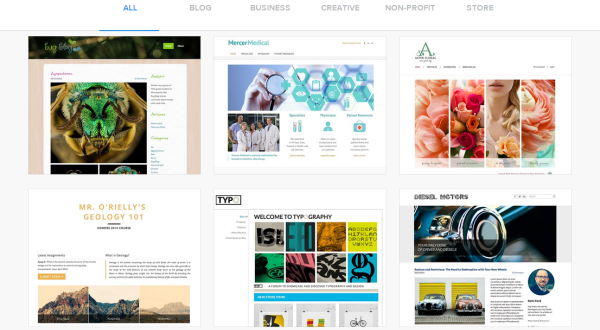 There are tons of themes, colors, features and functions you can adorn your Weebly site with. The templates can be customized to your personal preferences so that you’ve got a site that you’re happy with. Customization means different things to different people; you can for example add maps, multimedia and social media widgets to your website as you want. If you’re really looking to spread your brand far and wide, the Weebly social media widgets are a great feature. Once you’ve designed your site, you have the added convenience of full mobile compatibility and functionality. Weebly is stocked up on multimedia functions with crystal-clear images, video, slideshows, photo galleries and the like. You can expect excellence from the moment you add your media to your website. 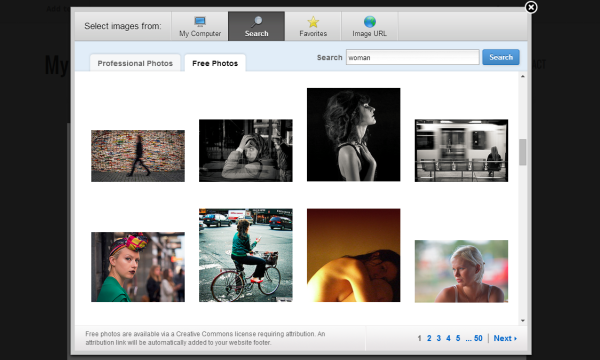 Weebly also has a large free image library that you can use for free. Most of the focus on the comparison between website builders like Weebly and Squarespace relates to their user-friendly functionality for novices. However, if you’ve got a background in HTML and CSS, you can actually make this work to your advantage with Weebly. 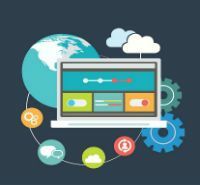 In fact with knowledge of website coding, you can truly create a site that is completely unique. Our review of Squarespace vs. Weebly shows both website builders offer users a wealth of features. Many of these features and functions are similar, so you may find it a little tough to choose one over another. Fortunately there are several other factors that can help once you’ve narrowed you’re decision to either Weebly or Squarespace. These include pricing concerns, hosting, and customer support. Squarespace offers a number of different packages, including Standard, Unlimited, and Business. Your range of features will increase as the price increases. The good news is that this website builder starts at $8 per month with 2 Gb of storage, 500Gb bandwidth and 20 pages. Of course if you’re looking to increase your storage capacity (for photos and audio), your bandwidth and the number of pages on site you can opt for another package. These are available at $16 p/month and $24 p/month. If your site is an e-commerce site then you’ll undoubtedly want to use the Business package so you can easily manage your online store. Customer support is an important consideration, regardless of the package you’ve selected. Live chat and online forms are available with Squarespace. The live chat agents are available during the week from 8 am to 7 pm. The ticket system operates around the clock and agents are highly responsive, professional and courteous. Take a look at the knowledge base for self-support options. Weebly packs a punch in many different ways. Our review of Weebly distinguishes it from many other services because it offers a free website builder package, which includes your domain name and your hosting. If you want to set up a personal website there is no need to have a paid subscription, but if you’re looking for an e-commerce site you will be better served with a premium membership. In total there are three paid plans including Starter, Professional and Business plans. These range in price from $4, $8 and $25 p/m respectively. Both Squarespace and Weebly are top website builders, so we’ll leave it up to you to decide which one best suits the vision you have for your website. You really can’t go wrong with either one. Hopefully we provided you with enough information to tip the scales in the correct direction. Still on the fence about your next website builder? Check out this Weebly Review for more information.